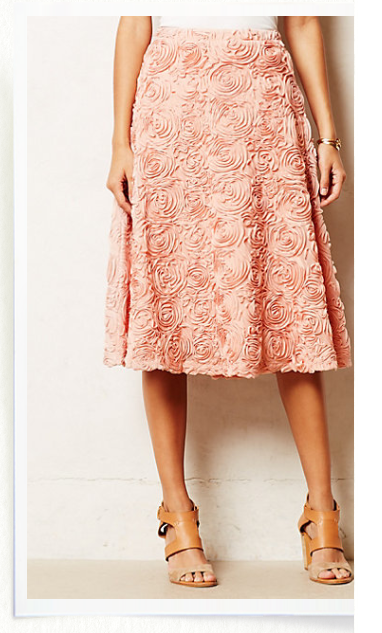 During my daily visit to the Anthropologie site I came across this skirt. Isn’t it unbelievably gorgeous? And like most things at Anthro, insanely priced at $148. Even so, I probably would’ve bought it anyway, but the damned thing doesn’t come in an XL. After looking at it closely I realized it’s simply an A-line skirt which even with my limited sewing skills I can whip up pretty easily. Of course, the fabric is what makes it and I assumed it would cost $30 a yard. 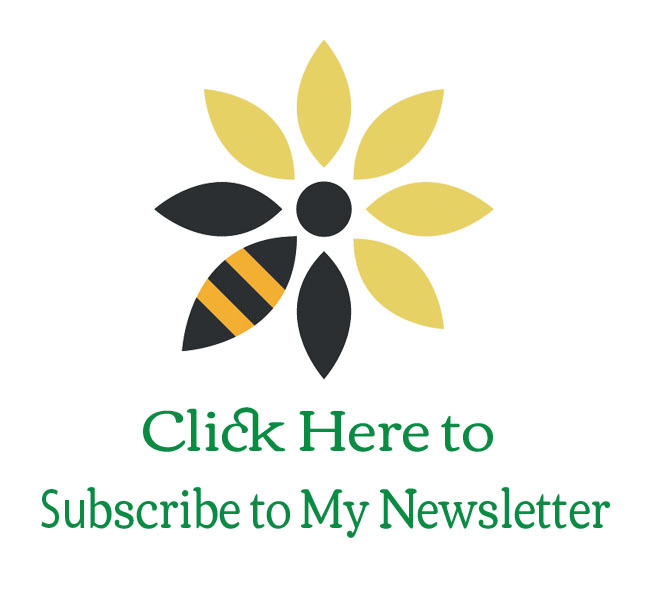 Which would make making it cost-prohibitive. 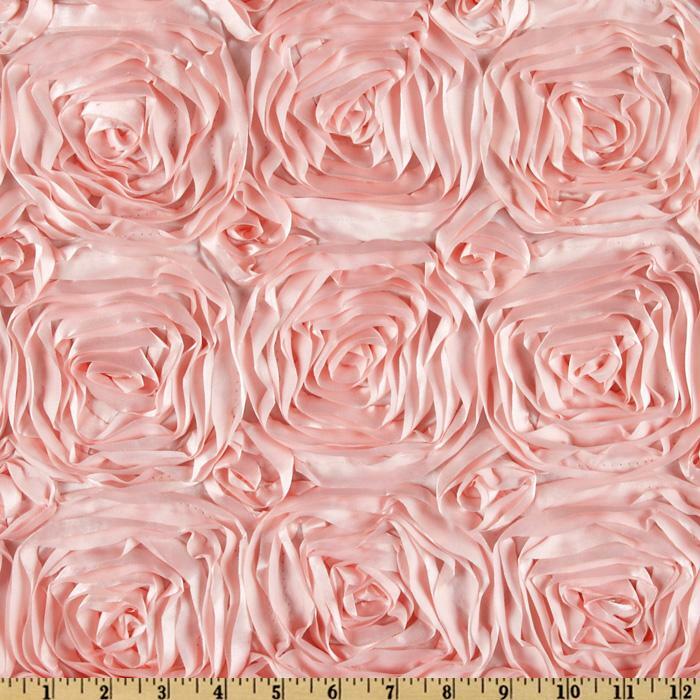 Imagine my amazement when I came across this fabric at Fabric.com. And it’s only $13 a yard!!! Even buying four yards is less than $60 and I already have a pattern. Plus drafting an A-line is insanely easy, it’s only three pieces a waistband and a zipper. I will have to line it, and I haven’t done that since school but it should be okay. I have no idea why all of a sudden I can’t stop making clothes. I made a maxi dress off Mimi’s site and I made a faux wrap blouse. I’m still not happy with the blouse. I loved the fabric before a cotton jersey, but I think for work I need a dressier knit. I also made a dirndl skirt out of some wonderful chiffon I bought last year. 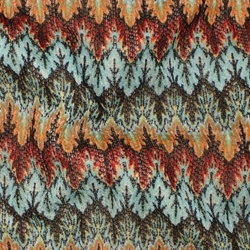 I plan to make a knock off DVF wrap dress out of some knock-off Missoni I bought last week. Inspired by the fabulous Erica B., of course. I don’t really have a place to sew aside for my dining room and that’s annoying when you have a toddler, but I’ve almost got him trained to keep his paws off my sewing machine, so it’s all good. My game plan is to master several fave patterns, a wrap dress, a faux wrap blouse and really well-fitting pair of pants and use those to build myself a wardrobe of stuff I love. I have never mastered pants, my mama ruined me in that respect because she was an absolute master of pants fitting. I believe with some patience though, I can get there.